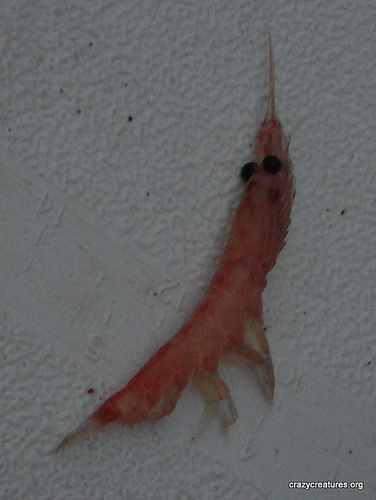 The common name of the order Euphausiacea is Krill. Also known as euphausiids, these are shrimp-like marine crustaceans that are small inverbrates found in every ocean of the world. They are an important part of the food chain as they are near the bottom of it. They feed on phytoplankton and to a lesser extent, zoo plankton. These are then convereted into a form which are suitable for larger animals to eat such as penguins, squid, seals, fish, and whales. As previously mentioned, krill is found in all of the world’s oceans. 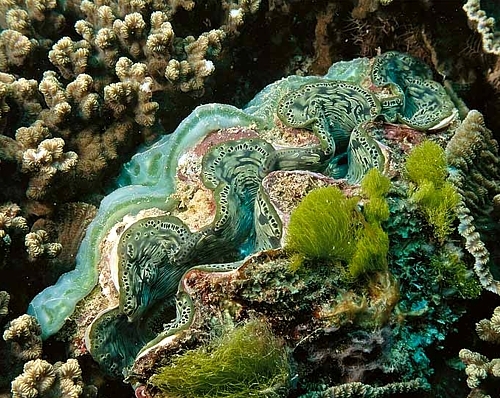 However, many species are coastal or endemic to a particular distribution. For example, Bentheuphausia ambylops is a species which has a cosmopolitan distribution within its deep sea habitat. The Euphausia pacific finds its home in the Pacific Ocean, while the Northern Krill finds its home all across the Atlantic Ocean, from the Medeterranean Sea and northwards. In the Antarctic, there are 7 species of krill known. Some live at depths of 4,000 metres such as the ice krill. Essentially, krill are a type of a crustacean which has a chitinous exoskeleton. This exoskeleton is comprised of 3 segments – the head, thorax, and abdomen. The head and thorax are fused together to create 1 segment, called a cephalothorax. The krill’s outer shell is transparent for most species. They have compound eyes, and some species of krill are able to adapt to different lighting through screening pigments. Krill also have 2 antennae and several pairs of legs which include feeding legs, grooming legs, and swimming legs. Most krill are only 1 to 2 cm long as adults, however some krill can grow up to 6 to 15 cm, depending on the species. The largest krill species known is the Thysanopoda spinicauda. 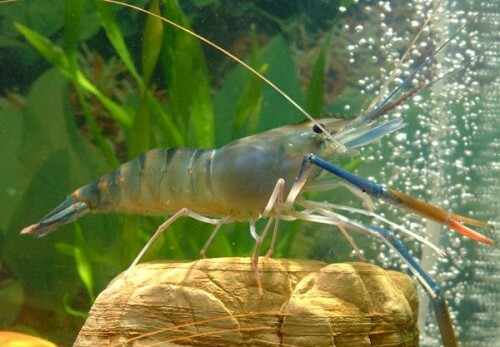 Their externally visible gills enable researchers to distinguish krill from other crustaceans such as real shrimp. Krill is fished commercially in the Southern Ocean as well as around the waters of Japan. The global harvest is 150,000 – 200,000 tonnes per annum. Most of this is harvestesd from the Scotia Sea. The krill caught is used for aquarium feed, aquaculture, bait in sports fishing, or for the pharmaceutical industry. In Russia and Japan, krill is eaten by humans and is known as okiami in Japan. 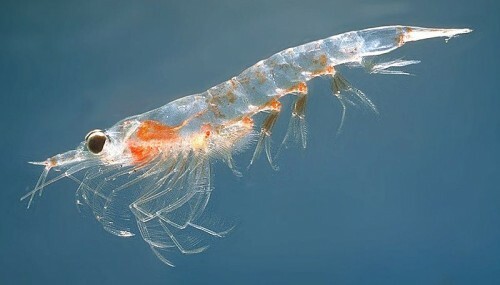 Whether it is a northern krill or an antarctic krill, these shrimp like creatures are the primary source for a famous beneficial supplement called krill oil. Krill oil consumption is proven to be very beneficial for an individual well$ besides of being beneficial for the brain function, helps to improve mood or fight depression, helps in strengthening the immune system, this substance krill oil is also considered to be a powerful anti oxidant supplement because it contains a substance called Astaxanthin which is proven to be a good substance that can help fight or prevent those nasty aging signs.